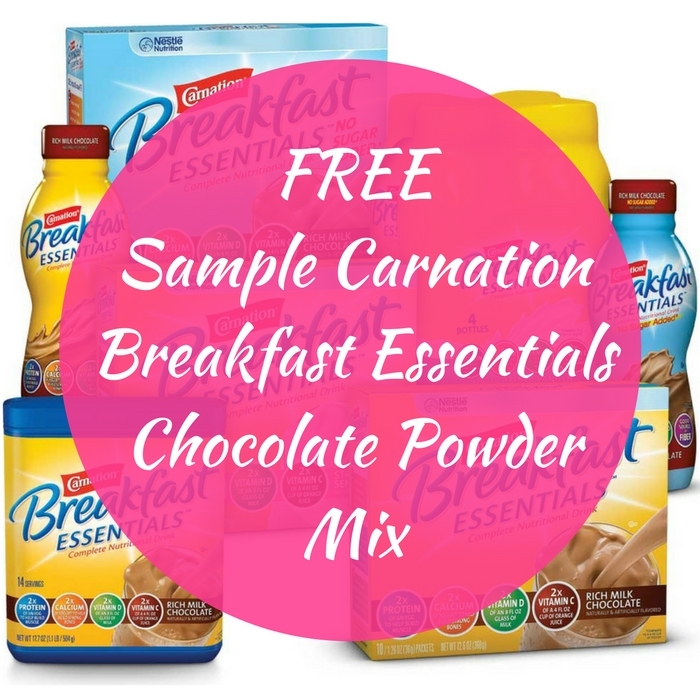 FREE Sample Carnation Breakfast Essentials Chocolate Powder Mix! You are here: Home / FREEbies / FREE Sample Carnation Breakfast Essentials Chocolate Powder Mix! FREEbie Alert! Hurry over here to get a FREE Sample of Carnation Breakfast Essentials Chocolate Powder Mix! All you need to do is simply fill out this form and your FREEbie will be on its way! Sweet!